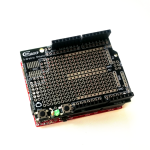 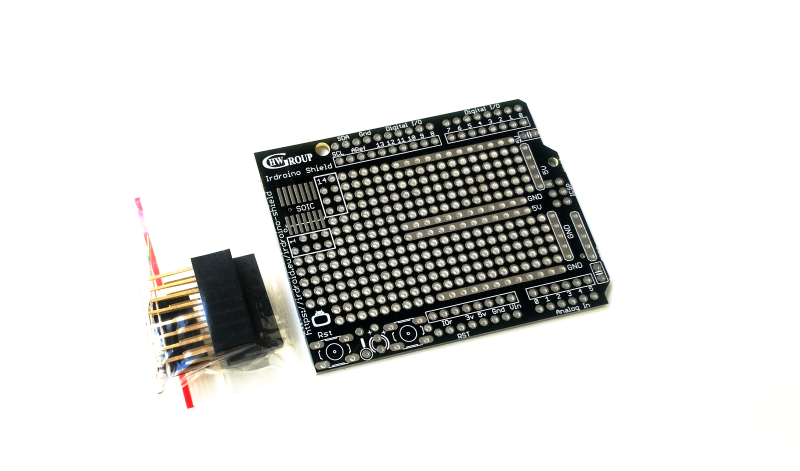 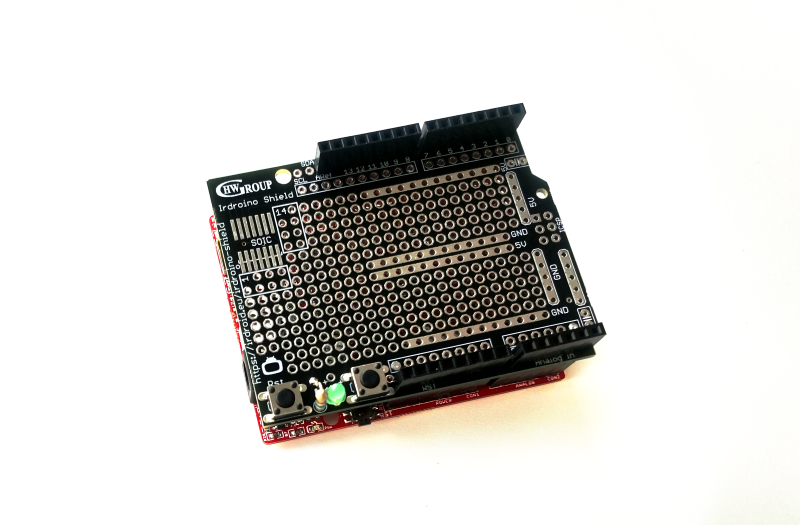 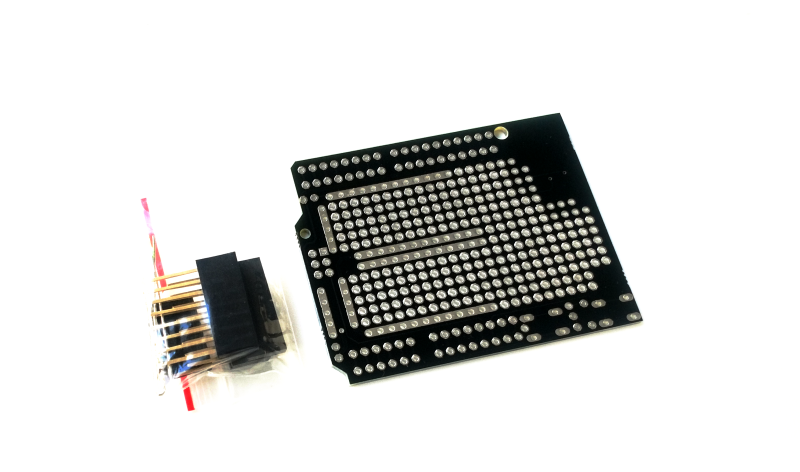 Irdroino shield (IR Capable) is a prototyping shield for Arduino like boards such as MAPLE Pinguino, Arduino, Olimexino and more. 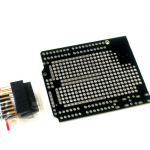 Irdroino shield is a prototyping shield for Arduino like boards such as MAPLE Pinguino, Arduino. 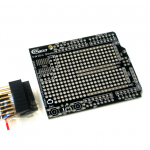 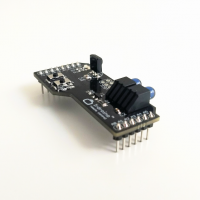 It comes with a set of components that will allow you to prototype and experiment with infrared remote control, using the provided IR Receiver and IR LED for transmitting and receiving Infrared signals.